To help your doctor or orthopedic surgeon achieve a proper diagnosis, he/she will begin with a medical history about you, your current condition and symptoms. He/she will inquire about the intensity of your present pain, the duration of your symptoms and the limitations you are experiencing. Details about what instigated the problem, when it started, and whether or not you have ever had treatments for this or a similar condition in the past, are very helpful in assessing your injury. A physical examination will be performed to determine if you have any signs of adhesive capsulitis or other shoulder injury. Your doctor will visually assess and press on the bones and soft tissue in both your shoulders to evaluate sameness (symmetry) and recognize differences. This will identify any abnormalities, such as mild or severe inflammation, tenderness, fluid, bone or tissue deformity, weakened muscles, redness and/or warmth on the skin. He/she may ask you to complete a series of arm movements, such as raising your arms to the front, back and side, to measure your range of motion and see what causes pain and tightness. Some of these will be performed by you and others will be performed by the doctor. Generally you will not be able to move your arm in any direction at all (or just slightly) if you have adhesive capsulitis - whether you try to move it or your doctor tries to move it. If you have movement when your doctor moves your arm, you may be tested for other shoulder conditions. Diagnostic tests will often help to obtain more detailed information about your shoulder condition. 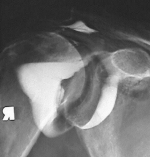 X-rays provide an image of the overall structure of the shoulder, and are helpful in identifying abnormal bone shapes and/or spurs, arthritis, or calcific tendonitis. MRIs or CT scans will provide more detailed information and will help to evaluate soft tissue (muscle, tendons, ligaments, connective tissue) injuries such as fluid in the shoulder, tendonitis and/or tears. 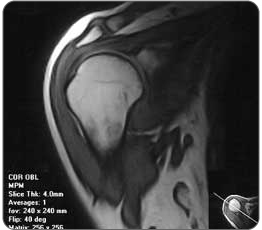 Arthrogram contrasts are special x-rays that show details of the shoulder capsule, such as a decrease in size (in a normal shoulder the capsule is rounded, but in a frozen shoulder the capsule is squat, square and contracted). In addition to using Ice Packs for swelling and pain minimization, we also recommend Deep Tissue Regeneration Therapy using the T•Shellz Wrap® - another innovative pain relief device from MendMeShop - this technology uses harmless electromagnetic energy to gently heat and increase blood flow to the treated area. REMEMBER: If your shoulder is injured and you continue to strain it through exercise, rigid and solid scar tissue will grow in the joint. This will cause shoulder movement to ALWAYS hurt, during ANY exercise. The growth of scar tissue is NOT GOOD, so if you're suffering from a shoulder injury, it's important to treat it and heal as fast as possible. During normal use, activity promotes blood flow through our body. Our body responds to the activity by sending oxygen and nutrient-rich blood to the muscles, joints and tissue. When we are at rest, the blood flow to your shoulder is greatly reduced. But, when your shoulder is injured, it really needs the blood flow to promote the healing process. Since you can't work your shoulder without danger of further injury, you need to stimulate the blood flow another way. Our innovative T•Shellz Wraps give you the best Deep Tissue Rehab available. The TShellz Wrap creates special energy waves that stimulate blood flow by penetrating through the outer layers of your shoulder. The energy waves reach deep into your muscles, tendons and cartilage, reducing your pain as they heal the inner tissue. A Shoulder T•Shellz Wrap® gives you unparalleled blood circulation boost therapy. You will feel the soothing, deep penetrating warmth as it works to stimulate your blood flow, we guarantee it. Now you can reduce your pain and heal your shoulder anywhere with the comfortable, light weight T•Shellz Wrap®. If you suffer from mild inflammation or pain after certain activities or movements use a Cold Compress or Ice Pack when you complete the activity and then rest and elevate your shoulder. Limit the application of cold to a couple of treatments per day. If you have been given a treatment plan by your health professional, make sure you adhere to it to ensure pain free living. 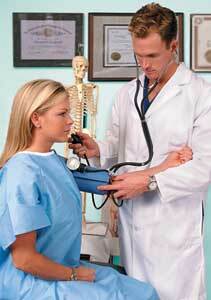 In general, people who are committed to their therapies and exercises will have the best medical outcomes.